La Cocina is a nonprofit working to solve problems of equity in business ownership for women, immigrants and people of color. Women account for only 33% of business owners nationwide and still make 46-75 cents for every dollar their white, male counterparts make. We provide affordable commercial kitchen space to talented entrepreneurs. The high cost of renting a commercial kitchen makes it difficult for many working class food entrepreneurs to formalize their business. Our kitchen space lets people who were formally shut out of the food industry find a way in. Businesses receive mentorship and access to market opportunties. New businesses undergo a series of classes in product, finance, marketing and operations. We provide 1:1 mentorship to guide businesses and connect them to a variety of sales opportunities, from catering opportunities to farmers' markets and brick and mortars, so they can grow their business. We amplify the voices that need to be heard. We believe in the power of storytelling to shift perceptions and to inspire others to follow their dreams. We use media, PR, and our own storytelling platform, F&B: Voices from the Kitchen, to share the voices from the food industry that are less often heard. Nite Yun comes from a family of Camodian refugees who resettled in the US in the 90s. When she moved to the Bay Area as a college student, she discovered the Cambodian flavors she grew up with were vastly under appreciated in the US. With La Cocina’s support, Nite opened her brick and mortar restaurant in 2016 and since been selected under Bon Appétit’s “Hot Ten List” and reviewed by the New York Times. 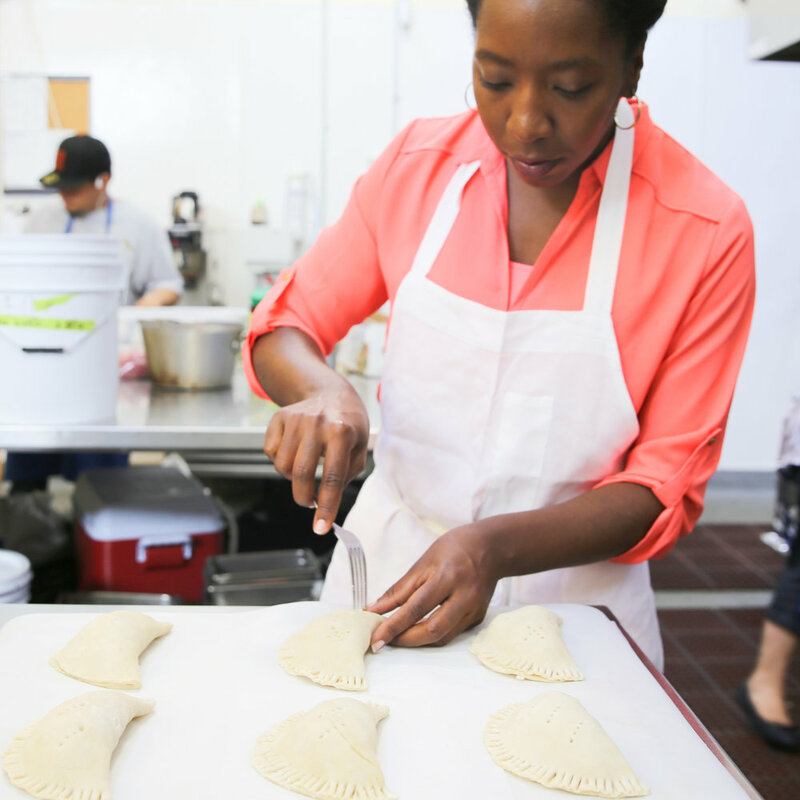 More importantly to La Cocina though, Nite has created more than a dozen jobs in her neighborhood of Fruitvale, her restaurant serves as a community and cultural center, and she is now helping other women do the same. 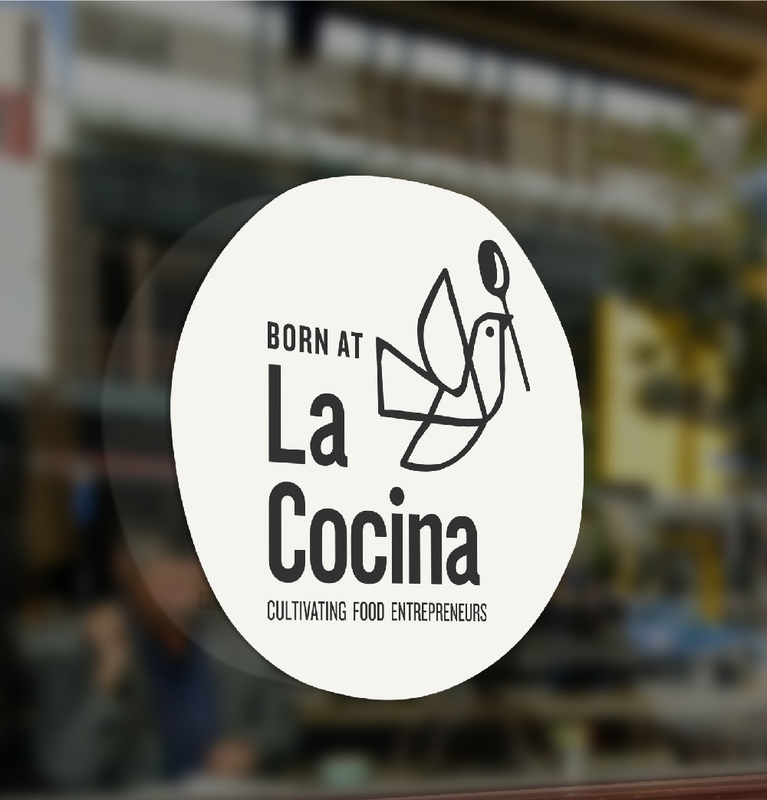 Look for the "Born at La Cocina" sticker at 30 brick-and-mortar restaurants across the Bay Area. La Cocina alums are actively reshaping they Bay Area to be more inclusive, diverse and delicious. Supporting La Cocina means supporting cultural diversity, business equity, and female entrepreneurship. Your donation fuels the next generation of culinary and community leaders.